If My Family Has A Lot Of Monthly Medical Expenses, Can I Still File For Bankruptcy? Yes, of course. When you file a Missouri or Illinois bankruptcy, having a large type of monthly expense is perfectly acceptable. However, if the expense is quite a bit larger than what would normally be spent by a household of comparable size, the United States Trustee may ask for documentation to prove up the expense. So long as you are able to provide such documentation, the expense you listed should be fine. When you file a St. Louis Chapter 7 bankruptcy or a St. Louis Chapter 13 bankruptcy, the government allows you to list out your typical monthly expenses that are incurred by you and your family. This allowance is made because the government recognizes that such expenses are normal, and should therefore be taken into account. This is significant because being able to include these expenses puts you in a much position to pass the “Means Test.” The Means Test is a mathematical formula that was devised by Congress in 2005 to determine who is and who is not eligible to file a Chapter 7. If, after all sources of income and all allowable expenses are taken into consideration you fall below the median income level for your particular household size, you may file a Chapter 7 (so long as you have not filed such a petition in the previous eight (8) years). This is why an expense such as that paid towards medical and dental costs each month is so relevant. So let’s suppose that you are a household of three (you, your spouse, and your child). Between you and your spouse, you only expend the normal amount on medical or dental costs each month (say around $50.00 per month). But your child has a couple of different medical issues that require a larger portion of your expenses to go towards healthcare (say around $300.00 per month). If this is in fact the case, then you can rightfully state that the total amount your household spends each month on medical-related expenses is about $350.00. Your attorney can use this particular expense on the above-mentioned Means Test. By doing so, your disposable monthly income will be reduced accordingly. This can have a measurable effect on whether or not you pass the Means Test. In fact, but for the medical expense of $350.00, it may very well be the case that you do not pass the Means Test (and without it, you may very well have to file a Chapter 13 bankruptcy). The UST may very well ask for documentation to prove up the numbers, but this can usually be taken care of by supplying your attorney with medical records, past bills, or even a list of recent expenses from your local drug store. 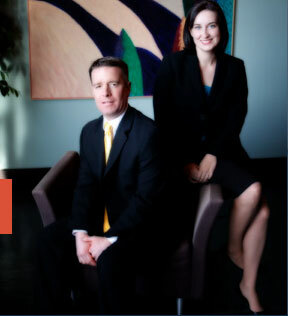 The affordable St. Louis bankruptcy lawyers at Brinkman & Alter, LLC have been providing quality, expert legal services for over ten (10) years. Our goal is to get you back on your feet, moving in the right direction, and given a second chance at life. Call today!